There is plenty of nitpicking this whole situation, but it gets even worse when trying to figure out who slots in to what starter role. The Nats have a pretty well-accepted ordering of their starters, but most of the other teams here do not. The Mets top 3 could probably slot in any order, same with the Marlins 2-5. I did my best to keep it to what I think is the most likely rotation for each team, but I’m not making any promises here. The first three guys could really end up the season in any order, but Fernandez was just so incredibly good last year, and Cliff Lee is 35 years old, so that’s how I slotted them. Not entirely coincidentally, it’s how BP slots them (in terms of WARP) as well. The fact that Stras is #2, and could have been #3 if Harvey was healthy (Medlen would have been lower) shows that he hasn’t quite reached his potential that was hinted at when he was the greatest pitching prospect ever. He’s a great pitcher, but he needs to be able to put this team on his back. 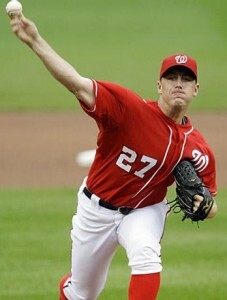 He needs to say Lean on Me to the Nats, enough that the fans say We Believe in You. Until that happens, his numbers won’t matter to so many fans who are looking for more. The Braves and Mets rotation slots are confusing at best, but Minor could be the best Braves starter (and the only healthy one signed before March with more than 200 IP in an MLB season). Niese has been named as Opening Day starter for the Mets. They could both miss early April due to injury, but if they are healthy, I think they’d be considered by most to be their team’s #1. The best Hamels can probably take the best Gio, but we didn’t see anything close to the best Hamels in 2013, and he’s expected to miss a month at the beginning of the season. Gio, in 2013, after spending 30 Days in the Hole and finishing the season’s first 30 days with a 5.34 ERA, from May-Sept he had a 2.97 ERA. Take out that first month and the 2013 version is basically the Cy Young caliber 2012 version. The Braves got a very good starter in Santana, although only 2008 and 2013 have been really spectacular for him. Colon will probably be the Mets actual best starter, when it’s all said and done, unless he finally starts pitching his age. 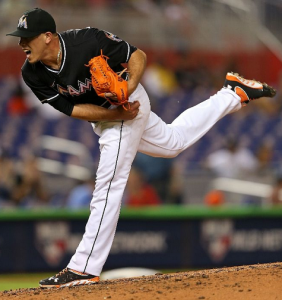 Turner is the best Marlins starter, non-Jose Fernandez division, but he isn’t as good as the competition here. It’s amazing how things change – at the beginning of last year, Cliff Lee took the top spot here, slotting into the Phillies rotation behind Hamels and Halladay. 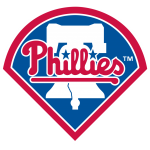 Today, the Phils will have AJ Burnett as their #3, who is as capable of a no hitter as anyone in the league, but he’s also pretty capable of a 10 walk monstrosity (possibly at the same time). JZimm has been nothing but great for the Nats, and if he has another season like his last 3, he’ll probably be able to say he Just Got Paid. Teheran probably is better than the Braves 3rd best starter, but tenure plays into this, so he gets bonus points for having worse competition. Dillon Gee isn’t a bad number 5 on a contender, but it’s a stretch for him here. Same with Alvarez, who isn’t anything special but beats the other guys the Marlins will use after him. The Nats have three great starters, and in exchange for a mid-level prospect, they suddenly have another really Good One Comin’ On the team. It’s really not fair, the embarrassment of riches with their rotation. Brandon Beachy is a good , and will probably move up this list in the next few years, even more so with Wheeler, who is younger and has a higher ceiling. Kyle Kendrick isn’t really good enough to start 30 games effectively, and neither is Eovaldi, but at least he is 24 with a chance of future development. Alex Wood had a good major league debut last year, but his ultimate role is still not clear. He could end up as a strong 4th/5th starter, or never really hold on to that role. If that sounds familiar, it’s the same thing with Ross Detwiler, who is about 5 years older, who’s now moved to the bullpen. 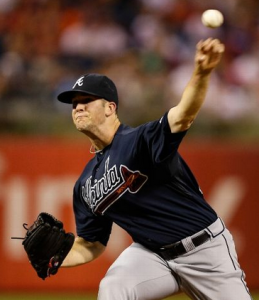 As for my dream of Detwiler being a legitimate #3 starter, It’s All Over Now. 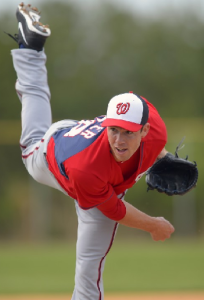 Without Detwiler in the mix, the other guys on the Nats have a chance to prove themselves, and Roark and Jordan both looked promising last year. Mejia looks like a real life back-of-the-rotation starter, for whatever that’s worth, but still has to show it. Either one could take the spot, and BP predicts them to have similar ERAs, but since we don’t even know which one of the Nats is getting the job, I’ll give the edge to Meija. Roberto Hernandez had one great season, but other than that he hasn’t been much of anything but bad. Flynn is one of the Marlins better prospects in that he’s almost certainly a major leaguer, but starter or bullpen is not yet known. Koehler started a bunch of games last season, but wasn’t particularly good. Kimbrel is quite simply one of the best relief pitchers in the game, and Papelbon has been brilliant although is no longer untouchable. After the first two, this gets close, and I’ve certainly made my feelings on Soriano not being a great closer clear. He’s getting older, and the back end of the bullpen (especially now that Mariano has retired) tends to be for young guys who can throw hard. There are no Young Man Blues at the closer position. But Cishek and Parnell aren’t spectacular either, and Soriano is likely the best of the not-top-bunch, unless his fastball continues to slip. The Nats came into 2013 as NL East favorites, and this year is the same, despite the poor result last year. They have a lineup full of quality guys, but they really distance themselves here with the pitching staff. 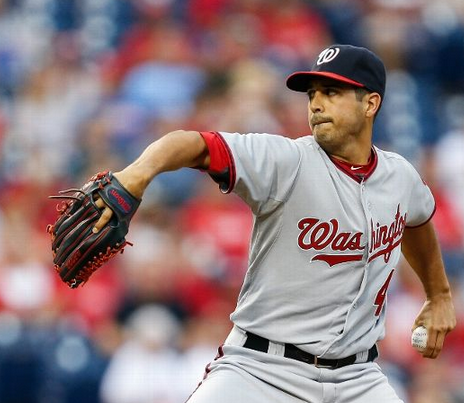 Nats fans have to Hold On for another season, and hope this team can put it together faster. Player by player, they have a better team than the others. Injuries, slow starts, and a poor bench all hurt them last year – a little better luck in any of those areas and they’ll probably at least make the postseason. Will they go one better than that and make or even win the World Series? For that, you really will have to hold on. Like last year, they are a close second, but not as close. Between the loss of Medlen, the disappointment of BJ Upton, the loss of McCann, and nagging injuries in their quality but but star-less rotation, it looks Twice As Hard to beat the Nats as it did this time last year. Which they did anyway, so this doesn’t mean they aren’t a good team, and their good bullpen factors in as well to a team that should be good competition in what ought to really be a two-horse NL East race. It’s the same song as last year with this team – they do have talent, but their best players are just old. 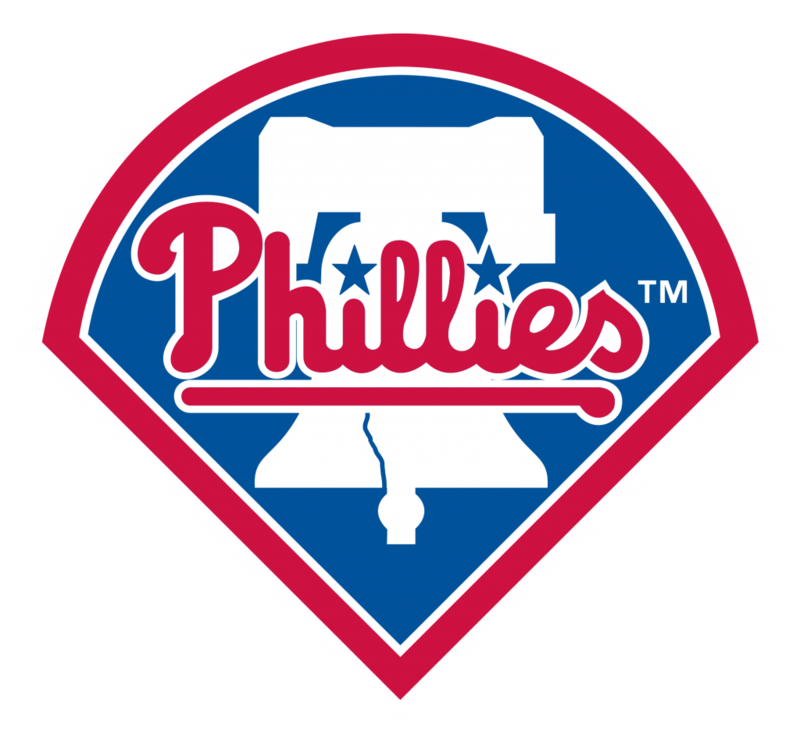 Rollins, Utley, Lee and Ruiz are 35, Howard is 34… heck, even Papelbon is 33. It doesn’t mean they’ll all be bad, or all get hurt, but those really are the only potentially great players on their team, and it’s just too many guys that are past their prime, thinking about Brighter Days that are far behind them. The Mets don’t really have the talent to compete in the NL East, and you wonder if they’re just digging themselves a hole by signing Granderson and Colon rather than working on bringing up young talent. But they still have to field a team, in New York, and too many years of being really bad isn’t exactly good for ticket sales. So, Hole Diggin it is for the Metropolitans. This is a disaster of a team right now. 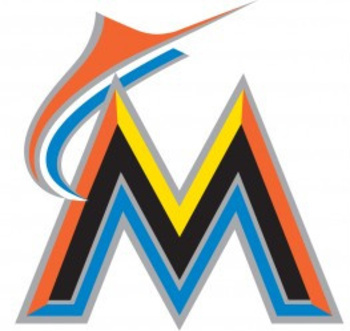 They’ve got an MVP candidate in Stanton and a Cy Young candidate in Fernandez and they are still awful. This team is going to be lucky to win 70 games, they’re on a Train to Nowhere, at least for this season, while waiting for their young non-superstar Major League talent to develop.